Why do I choose to be healthy and happy? In this section we will share and explore some of my favorite sites and suggestions for Healthy Eating. I have personally done the whole range of being Vegetarian, to a Vegan, to a carnivore many times. 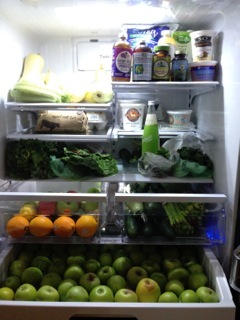 I have been on a healthy eating path since my early 20’s which has improved my health considerably. 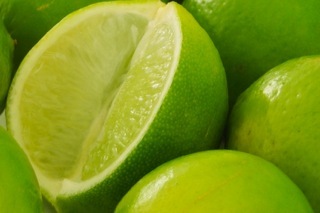 Another discovery for good health is Lime Juice! 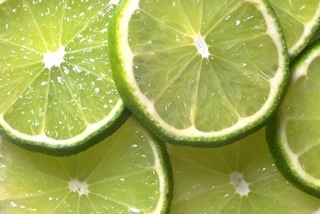 I am so excited to find that by using organic Lime Juice under your arms prevents un-wanted odors and works like magic. This new to me affective treasure Lime Juice will not only help you smell better and works as a prevention, it is also economical as well. I store the lime juice in the refrigerator and use some every day. I am so amazed on how wonderful this works. Our under arms and breast area have many lymph nodes and is very important for your health not to put chemicals in these areas. Most anti-persperiants have ingredients like aluminum which are highly toxic. Since the Fast Food Industry made its mark in our communities many decades ago, many of us are showing the results of consuming this life style and now suffering the results. With our economy shift in the recent year or so we are finding meal time with our families is creating closer family ties and a healthier body. The challenge is for some of us is to make the time to cook again and make the effort to spend it consciously experiencing our foods we are consuming and not just shoveling it down. Healthy eating is just getting back to basics. Since our budgets have become smaller many are finding savings in cooking again. Below are some suggestions I have come to benefit from and you may as well. As we are becoming more aware of GMO’s in our food source responsible for the decline of our health and for the growing obesity epidemic here in America, we are becoming more mindful of what we are putting into our bodies. Eating organic is a must. And many of us are taking on growing vegetables and fruits. Check out John Kohler’s Youtube videos Growing Your Greens & Okraw! Growing Your Greens is the most watched gardening show on youtube. It’s a fun and enlightening show on how to grow food at your home and beyond. John provides you with tips and tricks as well as shares his experiences growing food at his urban homestead. John is dedicated to helping you sustainably grow your own food in your front yard and beyond. John provides hundreds if not thousand videos on how to grow your own organic garden even in Las Vegas. John even did an interviewed consult for my home here in Las Vegas, check it out and watch it below “Small Space Desert Vegetable Raised Bed Garden Consult”. There is much out there on eating Raw to Vegan on YouTube recipes along with blending. Here are a few recent favorites. Okraw again with John Kohler on how to incorporate eating more live foods. Dara Dubinet to Jay Kordicks Live Foods Live Bodies to Forks Over Knives to Dr. Will Tuttle, The World Peace Diet. Our fruits and vegetables, even organics are not as hydrated as they once were plus with our environmental toxicity has increase even more reason to drink more water to flush our systems out. Coconut Oil organic extra virgin by Living foods. In many cases it is recommended that people consume 2 – 4 tablespoons of coconut oil per day, up to 4 tablespoons for your thyroid. Coconut oil is anti-fungal, anti-viral, and anti-bacterial. It kills viruses that have a lipid (fatty) coating, such as herpes, HIV, hepatitis C, the flu, and mononucleosis. Coconut oil isn’t a cure in itself, but it does contain these properties that fight against such ailments. Coconut oil also kills the bacteria that cause pneumonia, sore throats, dental cavities, urinary tract infections, meningitis, gonorrhea, food poisoning, pneumonia, and many more bacterial infections. It kills the fungus/yeast infections that cause Candida, ringworm, athletes foot, thrush, jock itch, diaper rash and more. Coconut oil is able to boost energy levels and endurance. It is not stored like other fats and actually breaks down much quicker within the liver and used like a carbohydrate. Athletes and bodybuilders use it as a natural supplement in sports drinks. It also increases your metabolism which is great for anyone wanting to lose weight. In fact there is a whole industry devoted to losing weight through coconut products and recipes. Digestion- Coconut oil helps in improving the digestive system and absorption off at soluble vitamins, minerals and amino acids thus prevents various stomach and digestion related problems including irritable bowel syndrome. The saturated fats present in coconut oil have anti microbial properties and help in dealing with various bacteria, fungi, parasites,etc., that cause indigestion. Diabetics use it to reduce their symptoms and the risk of diabetes is reduced with regular use of coconut oil inyour cooking. Coconut oil contains high levels ofanti-oxidants which help to protect the body from free radicals and prevent degenerative diseases and premature aging. Coconut oil is actually good for your heart despite the bad press it has received over the years. It contains about 50% lauric acid, which helps to prevent various heart related problems such as high ‘bad’ LDL cholesterol levels and high blood pressure. Coconut oil is one of the best natural nutrition for hair. It promotes healthy hair providing it with a shinny complexion. Regular massage of the head with coconut oil ensures that your scalp is free of dandruff, lice, and lice eggs, even if your scalp is dry. It acts as an excellent shampoo or conditioner and helps in the re-growth of damaged hair. It also provides the essential proteins required for nourishing damaged hair. It is therefore used as hair care oil and used in manufacturing various conditioners, and dandruff relief creams. Skin Care: Coconut oil is excellent massage oil for the skin as well. It acts as an effective moisturizer on all types of skins including dry skin. The benefit of coconut oil on the skin is comparable to that of mineral oil. But unlike mineral oil, there is no chance of having any adverse side effects on the skin. Coconut oil also helps in treating various skin problems including psoriasis, dermatitis, eczema and other skin infections. Therefore coconut oil forms the basic ingredient of various body care products such as soaps, lotions, creams, etc., used for skin care. Coconut oil is anti-inflammatory, so it’s possible it would bring some relief from bug bites, as it promotes healing. Healing Balm: Since it’s anti-inflammatory, coconut oil might be useful as a salve to speed healing of bruises, strains, and sore muscles. Mosquito repellent: Coconut oil is used in many mosquito repellents as a natural product, rather than using Deet. Just by eating it or using it as a shampoo or face cream etc., could ward of those pesky bugs! Use fresh fruits, dried fruits like dates to sweeten with or honey. Maca by Whole World Botanicals promotes hormonal balance, mental clarity, Increases energy levels, Improves physical performance, Relieves menstrual irregularities such as PMS, Relieves menopause symptoms including: Hot Flashes, Fatigue, Night Sweats, Mood Swings, Loss of Sexual Desire (Libido), Insomnia, Perimenopausal Problems. Ancient Minerals magnesium products are healing by way of the skin, our body’s largest organ. Relief of aches, pains, spasms, elevates mood and relieves stress, encourages healthy skin tissue, helps maintain proper muscle function, boosts energy levels, supports a healthy immune system, balances the hormonal system, calms overactive nerves, improves quality of sleep. Himalayan Salt by Source Naturals. Stimulates Circulation, Lowers BP & Removes Toxins. Unlike table salt, Himalayan salt does not create excess load on our body and balance brain function. It is helpful for those with high blood pressure in conjunction with water, Himalayan salt helps in regulating blood pressure. Horsetail grass for herb’s ability to strengthen connective tisse and give it anti-arthritic actions. A few herbal specialists believe that the organic silicon concentrations found in horsetail may also promote bone and cartilage formation and are useful for treating brittle nails and related conditions. Arthritis, osteoporosis, and other conditions of bones and cartilage. Aquaflora Candida High Potency 9 Do you: Crave carbs & sweets? Are you: Dizzy or spacey feeling, Often tired and irritable? Do you have: Achy joints or muscles, Psoriasis or other rashes, Skin or nail fungus? Amino Acid Lysine is an important amino acid. In the body, amino acids are critical since they form proteins that are the building blocks of many body tissues including muscles. Lysine is needed for tissue repair and growth, and is utilized in the production of antibodies, enzymes and hormones. Reishi by New Chapter Reishi is medically known for its ability to relieve fatigue and weakness, asthma, insomnia, and coughs. Ganoderic acids may lower blood pressure as well as decrease cholesterol as well as inhibit blood platelets from sticking together as in coronary artery disease. Iodine by Xodine Every cell in the body contains and utilizes iodine. The thyroid is the body’s major iodine storage site. A woman’s breasts are the second highest storage site in the body. Women have a higher iodine need than men do. Iodine is a core ‘essential’ element in fetal development, and ongoing DNA driven processes throughout life. GSE Grapefruit seed extract helps alkalize the body. It is considered one of the most alkaline forming foods and of all fruits it is the most alkalizing. Alkalizing the body (raising pH) is one of the single most important health regeneration benefits available. Disease cannot live in an alkaline environment within the body. It is claimed that cancer dies in a pH of 8.0. Countless other conditions are caused by an acid environment within the body. These same conditions are effectively treated by restoring the proper pH. Grapefruit seed extracts pH is a low 2.0. Don’t let this fool you as acid foods have alkaline effects on the body. The problem comes when you eat food that is acid forming such as meat, sugar and most grains. This food creates and acid environment within the body. Most degenerative diseases are associated with your body pH. Your body pH is one of the most important aspects to consider when trying to overcome a serious illness and to maintain good health. The list of diseases caused from improper pH is a mile long. Cancer and most other diseases cannot exist in an alkaline environment. The pH of the non-deficient and healthy person is in the 7.5. Beneficial Bacteria Grapefruit seed extract stimulates the immune system. (According to Doctors and Veterinarians) grapefruit seed extract (at normal doses) is gentle yet preserves the integrity of your intestinal bacteria. Without these beneficial bacteria life could not be sustained. Grapefruit seed extract is a multipurpose product used for countless applications. Internal and external conditions and infections, skin conditions, mange, fleas, etc. Household Uses – Vegetable wash, counter tops, cutting boards, laundry cleaner, etc. Travel Uses – Grapefruit extract is used against water and food borne illnesses, diarrhea, dysentery, etc. Gardening Uses – Tool cleaner to remove fungus, mold. As a bug spray, plant spray and more! Grapefruit seed extract is extremely good for fast healing of scar tissue associated with many types of wounds (even big ugly scars). It is Very Economical to Use! Grapefruit seed extract is very effective at low concentrations therefore a little goes a long way as most applications only require a few drops per dose. Our 1.5 oz bottle contains 900 drops of potent Triple Strength grapefruit seed extract.Triple Strength averages around 3-5 drops per dose. Cayanne Pepper effects on the circulatory system as it feeds the vital elements into the cell structure of capillaries, veins, arteries and helps adjust blood pressure to normal levels. High blood pressure is certainly one of its core uses, but cayenne cleans the arteries as well, helping to rid the body of the bad LDL cholesterol and triglycerides. Considering that heart disease is the number one killer in America, this is significant. As a young girl and woman my hands and feet were always cold. As a child I remember sleeping with 6 blankets. My mother, sister and grandmother also had these symptoms. When I decided to take charge of my health at 19 years old, I delved into herbs & supplement to improve my health and got off most dairy products and eliminate meat. Back in 1978 there was no way to consume Cayanne pepper except in bulk. Back then we would purchase empty capsules and fill them with the Cayanne pepper from our favorite Herb shop in San Diego. I did this for months taking this herb. Within time my circulation change and improved. Since then I have had warm hands and feet for decades now. I now only use this herb to season my food. I’m warm enough these days. Well this is not the typical juice feasting suggestions for cleansing and and letting go of extra body weight. However, with all that I have listened to recently, we need more omega 3 oils. Here is my list. I don’t always do it daily, but you can. Listen to your body… which takes a while to hear your body since it has so much extra weight on, crowed with toxins. It is difficult, at times, to hear our body when we have been over stuffing it for a while ,mindlessly with foods that are GMO’s. So be patient. Store all these items in the refrigerator once open. 1 tablespoon of Hemp Oil cold pressed Organic by Nutiva. I found it on line at Amazon for $39.00 gallon size. I even give some a tablespoon to my dogs daily in their food. 1 teaspoon of Wheat Germ Oil Viobin rich in Vitamin E. I purchase this at Pure Health Food store near me on Buffalo & Washington, contact information below. 1-2 tablespoons organic Chia seeds by Nutiva. I place them in a mason jar and shake them immediately in juice, water or Nirvana coconut water. Set aside to absorb then drink. I do this if before sleep. If I am wanting a snack while juice feasting, I will drink the Nirvana coconut water and chia seeds. Really helps me to sleep soundly. 1–2 tablespoon Golden Flax Seeds certified organic by Now Real Food, freshly ground up for the each day stored in refrigerator. Now I consume each of these products by spreading them out through out the day by adding some in the morning, or some only in the evening, when I am the most hungry. After taking them, then I feel very satisfied. You could just take one or two or all of the above daily. Personally I like to support my local business, Pure Health Food Store, 702.366.9297, however, they don’t carry the large gallon Hemp oil size, which is why I get this online at Amazon. But they do carry the rest of these products. ~ Valarie McKenzie, L.M.P., E.P.